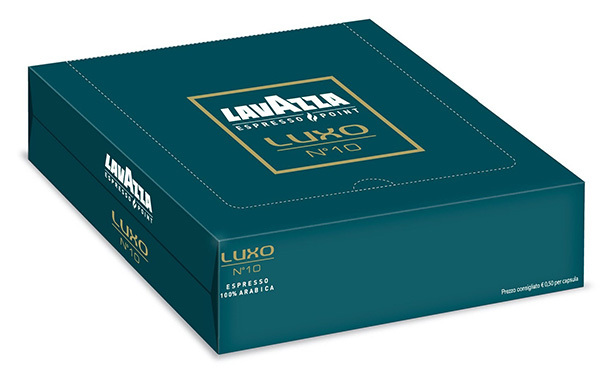 A partnership between Luigi Lavazza Spa and Smurfit Kappa Spa made it possible to modify the finish on the corrugated cardboard packaging used for the coffee pods of the Espresso Point LUXO no. 10 line, going from UV paint printing (ultra violet polymerised) to acrylic paint. The intervention resulted in 49% energy savings. It should also be noted that the packaging, in both the previous version and the version after the intervention, is composed of 100% recycled paper. The reduction in environmental impact is due primarily to the change in the cardboard painting process, which limited energy consumption and positively impacted the entire life cycle of the product.